Q has been barefoot all his life. I bought him as a four year old and was delighted that he'd never worn a metal shoe. Despite being barefoot, his feet weren't in good shape. He must have had the occasional farrier trim, but I think these visits must have been a yearly treat rather than a regular occurence! His feet were very long, flat with flared sides and under-run heels. I wish I'd taken photos. 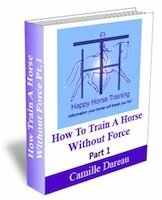 Although I'd always kept horses barefoot, I was no expert at trimming and relied on a farriers 'ready to shoe' trim along with a few tips I'd picked up from barefoot internet sites. 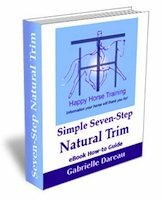 It wasn't until I met Gabrielle of HHT that I learned a more hoof-friendly way to trim, a way that respected the internal structures of the foot and the alignment of the limb the foot is attached to. It's been worth a few grazed knuckles attempting to become ambidextrous with the rasp - a bit of patience and determination, and I'm not too bad. The trickiest part to get right has been 'the scoop', but again practice has improved my skill. And it's this scoop, along with the simple method of measuring the heel length, that has made the most remarkable difference to Q's feet. It's been an easy method to learn and the results have been great. After a year of following the trimming method the flaring has gone, he has wonderful concave soles, his heels are firmly where they should be, giving him full support - and he's a happy barefoot dressage horse. Join in and write your own page! It's easy to do. How? 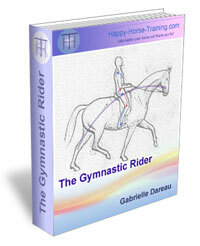 Simply click here to return to Share Your Barefoot Horse Story!.